It was another exciting Weekend in the Macleod and McCallum North Caledonian league this Weekend with Thurso and Invergordon both recording wins and Golspie Sutherland and St Duthus this sharing the points in an enthralling match. Halkirk United also got the better of Inverness Athletic in a nine-goal thriller at Morrison Park to progress to the next round of the Jock Mackay Memorial Cup. James Murray netted his 50th goal for Thurso against Bunillidh Thistle. Thurso got back to winning ways at Couper Park on Saturday with a comfortable 6-2 win over Bunillidh Thistle. Goals from Scott Bell and a penalty from Michael Petrie saw the Vikings race into an early two goal lead. Connor Cormack added another before half time to give Stevie Reid’s side a commanding half time lead. The goals kept coming in the second half as David Hale made it four for the visitors before Billy Cairns clawed one back for Bunillidh. Michael Petrie was again on target from the sport on the 77th minute to give Thurso a 5-1 lead before James Murray added a sixth on the 83rd minute, his 50th goal for Thurso, to all but secure the three points for his side. Bunillidh did get on the score sheet again late on through a Derek Manson OG but it was nothing more than a consolation as Thurso got back to winning ways and jumped above their Caithness rivals Halkirk United in the league table. Darran Gollar was once again on the score sheet for Invergordon as they got the better of Orkney. In the day’s early kick-off Orkney entertained Invergordon looking to build on last weekend 2-1 win over St Duthus. It was the visitors who started the scoring when Ken Morrison netted after 26 minutes. Aiden Drever quickly equalised for the home side to send the sides in level at the break. Invergordon began the second half with a bang as the league’s top marksman Darran Goller netted before Finlay Macleod gave Invergordon a commanding 3-1 lead. 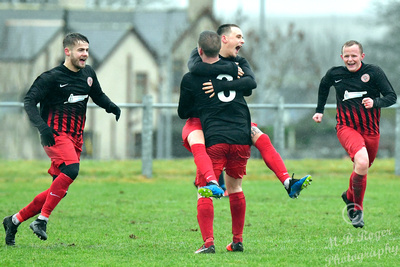 Aiden Drever once again pulled Orkney back into the game, but it was too little too late as Gary Campbell side held on to the win and in doing so maintained top spot in the league. At a very wet King George VI park in Golspie, Golspie Sutherland and St Duthes shared the spoils in an exciting encounter. Liam Rostock put the visitors in front with a neat lob after 28 minutes. 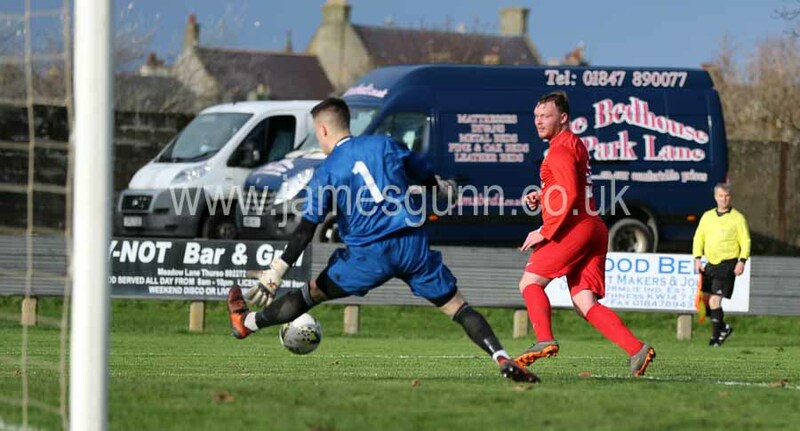 Golspie would have to wait till the start of the second half to get themselves back into the game when unfortunately, Ali Matheson in the St Duthus goal put the ball into his own net. Scott Miller once again put the Saints back and front with tap in at the back post after some good work out wide from Ross Tokley. 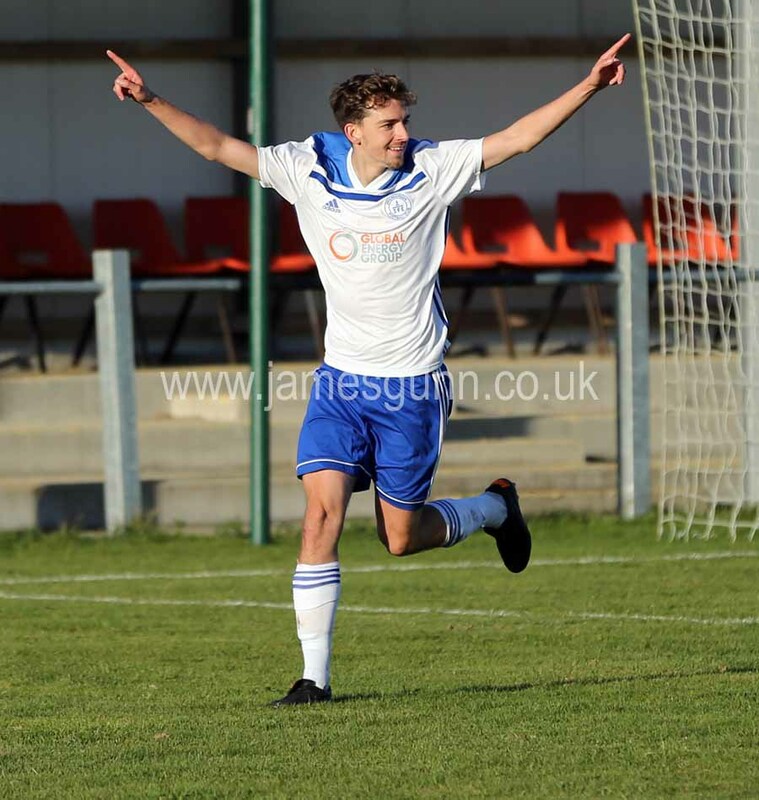 James Mackay secured a draw for the home side in the final minutes with a stunning strike to make sure Andrew Banks side are still in the hunt for this seasons league title. The Jock Mackay Memorial Cup also kicked off on Saturday with Halkirk United coming out on top against Inverness Athletic in and nine goal thriller at Morrison Park. Athletic raced into a four-goal lead with goals from Ryan Macleod, Ryan Dow, Phil Macdonald, and Dean Allison before the Anglers staged an epic come back. Goals from Matthew Mackay, Korbyn Cameron, Louis Webster and Jonah Martens brought Halkirk level before Louis Webster netted the winner with three minutes left to play leaving Athletic shell-shocked and sending Halkirk into the next round.